« Our cause is worth it. Although the day was filled mostly with rain, more than 400 fishermen braved the cold to hunt the largest string of 5 fish. Below is the list of the top five stringers of the day. 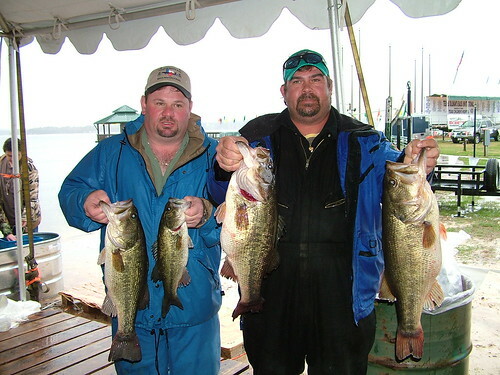 1st Place – Shane Tate and Howard Beetz (above) 24.63 lbs. 2nd Place – Mike Mahan and Dan Fowler, 21.27 lbs. 3rd Place – Billy Hakes and Bobby Logon, 20.50 lbs. 4th Place – Joseph Lopez and Christopher Lopez, 19.85 lbs. 5th Place – Jackie Stephens and John Stephens, 17.96 lbs.